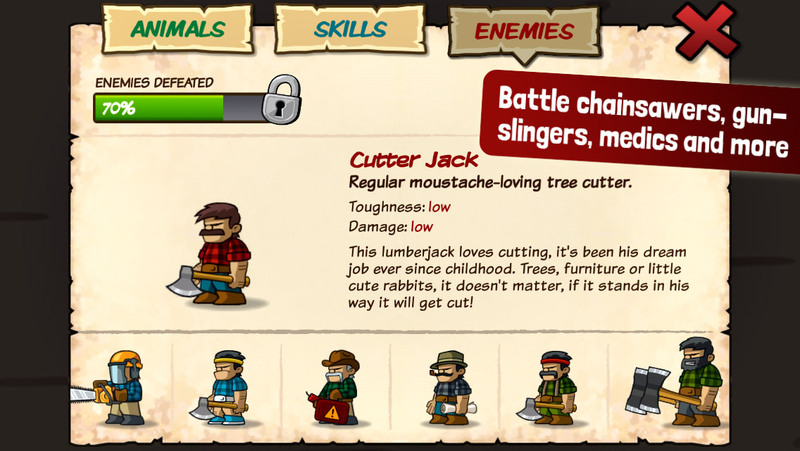 Get ready to battle the vicious lumberjacks! 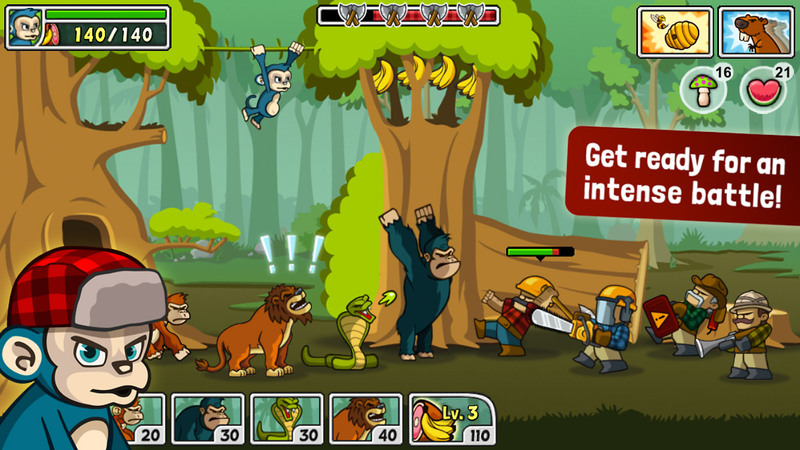 In this action-packed strategy game you help Koko Kornelius, the mad and brave monkey to defend the wildlife from vicious tree-cutters! 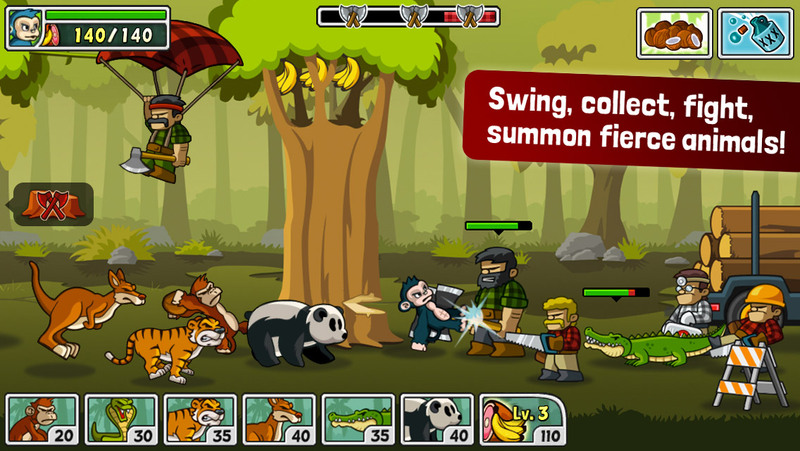 Team up a wide variety of fierce animals and create the ultimate wall of defense! 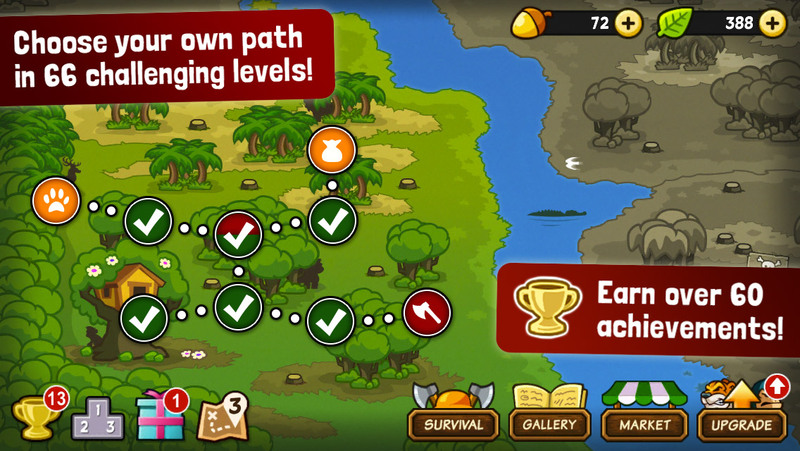 Choose your own path through this seemingly endless game in a quest to become the king of the hill! This addictive game will keep you entertained for hours on end with exciting game play and 66 unique levels! If that’s not enough – unlock survival mode! 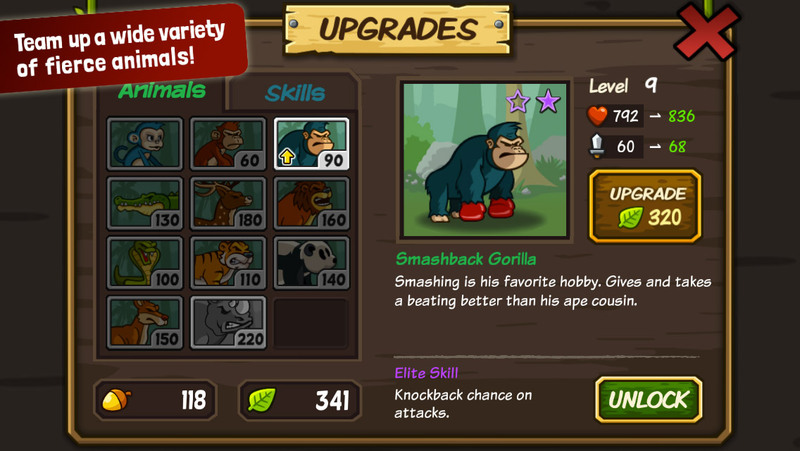 Discover and upgrade the Smashback Gorilla, Punchbag Panda, Banana Magnet and many more unique characters and skills in this wild adventure. All with their own special abilities! 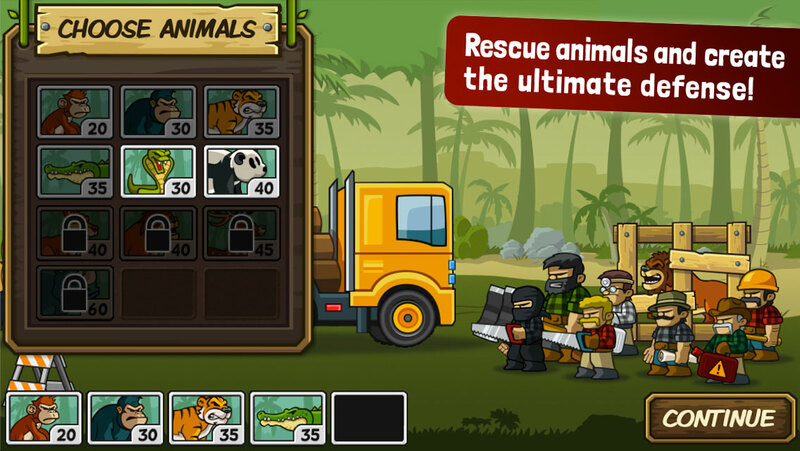 – Challenge your friends via Game Center, Google Play or Facebook on the endless Survival Mode! – Collect over 60 achievements as you advance through the game! Can you collect them all? – Colorful graphic and amusing animations!